Eyestem is a cell therapy company founded by a top-class management team consisting of clinical trial, cell therapy and ophthalmology experts. It also boasts a world class advisory board and we have built collaborations with pioneers and leaders in the space. Our long-term vision is to create a global and scalable cell therapy platform to treat incurable diseases. We are developing a cell therapy platform to produce consistent, quality products over the next few years, concentrating on in vitro efficacy and safety. We are also establishing processes for manufacturing and controls and instituting GMP manufacturing and GLP studies to cater to market needs worldwide. Our lead product out of the platform is EyecyteRPE aimed at treating Dry AMD (Age-related Macular Degeneration). Dry AMD is the largest cause of incurable blindness in people above 60 and affects roughly 170 million people worldwide. We are currently targeting phase-one trials for EyecyteRPE in the later half of 2020. Methods Mol Biol. 2018 Jun 13. doi: 10.1007/7651_2018_140. 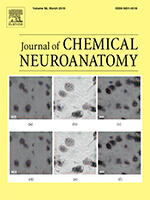 J Chem Neuroanat. 2019 Jan;95:81-88. 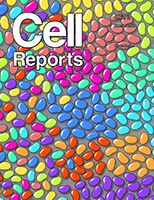 Cell Rep. 2018 Jan 2;22(1):189-205. Webers Challenges of managing retinal dystrophies: an experience from south India. 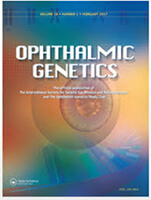 Ophthalmic Genetics. Surendran H, Rathod RR. Pal R.
2018. Meth Mol Biol. (Accepted). Retinal oxygen saturation in Retinitis Pigmentosa and macular dystrophies in Asian Indian eyes. Invest Ophthalmol Vis Sci. 2015. Battu R, Khanna A, Hegde B, Berendschot TT, Grover G, Schouten JS. Correlation of Structure and Function of the Macula in patients with Retinitis Pigmentosa. Eye (Lond).